Exercise helps to reduce stress and strengthens focus which you can apply in the workplace or at school. Improve your peripheral vision, motor skills and reaction times. Learn how to develop and improve your goal-setting skills. Get quicker at making decisions and improve your strategic thinking skills. Make your quality of life better and encourage kids to get away from the TV or games consoles for a couple of hours. Decreases known risks from diabetes, obesity, poor self-esteem and depression. Strengthen your mental resilience and also learn how to treat and prevent injuries. Improve your ability to multi-task by playing both defence and offence. Become a tougher, more resilient person. You’ll learn things about yourself that you didn’t know and have the opportunity to improve on your game and progress. It’s not just for girls and women, boys and men are very welcome to join the fun and mixed netball is gaining in popularity. Grow your network of friends and gain additional respect for team members. Access to coaching, training or umpiring opportunities. 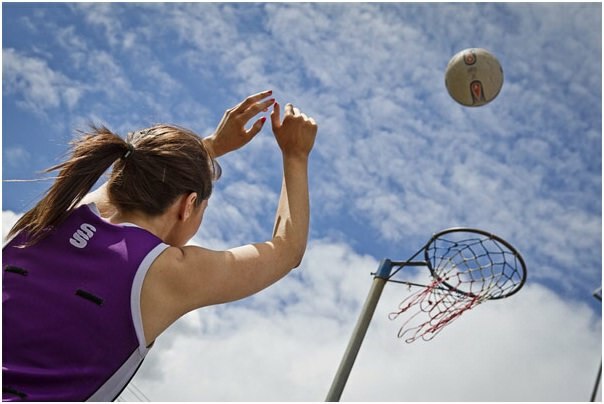 Netball increases endorphins, making you happier. Learn how to cope with your emotions more productively. Learn how to persevere and not to give up. Improve leg muscle strength by running, sprinting, and jumping whilst burning up to 450 per game. You’ll gain endurance skills, become a better sprinter and improve your cardiovascular health. The chance to collect medals and trophies for your participation. Improve your hand-eye condition and feel safe that netball is a non-contact sport. Players can start at any young age and there’s no upper age limit either. Netball is for everyone. 28.Play in a range of different positions or focus on improving your skills in a certain position. Learn how to understand and follow the rules. Learn how to develop ball skills and your time management skills. Learn how to better read the game and know what your teammates will do without even speaking. Feel a great sense of accomplished after every match. Previous Previous post: Should you choose electricity or gas to heat your home?